If there has ever been a time in my life when I needed a word of encouragement, it was yesterday morning. 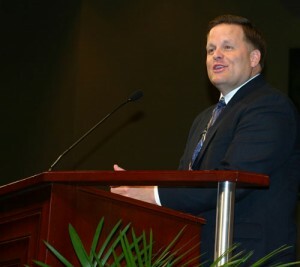 God graciously provided just what I needed through my friend, Evangelist Paul Schwanke. We had actually scheduled Brother Schwanke a few years ago to preach at Lancaster Baptist this Sunday—long before I had any idea of the trial our family would be facing at this time. But the Lord knew, and He provided “a word fitly spoken” (Proverbs 25:11). We Can Still Trust Him. Regardless of our circumstances, we can choose to trust the Lord. As verse 4 teachs us, God is still on His throne, and He closely observes our needs. We Can Take the Long Look. Even though David’s situation looked bleak at the time he penned this Psalm, he looked ahead to the day when God would make wrongs right and set everything strait. Whatever our situation may look like today, we can choose to look ahead through the eyes of faith and know that God’s ways lead to a perfect end. In the midst of overwhelming circumstances, David remembered that God is righteous, He loves righteousness, and He blesses those who do right. When it seemed that David’s life was caving in, he could still choose to remain faithful and do the next right thing. Please continue to pray this week for our son Larry as he undergoes further testing and we wait for a further report from the doctors. Pray especially for wisdom as we make decisions and for healing in my son’s life.